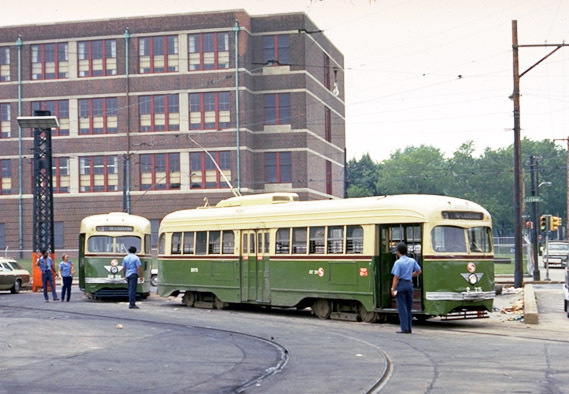 1940 PCC 2075 (right) and 1942 PCC 2636 at 10th & Luzerne Sts. Route 53 cars bound for West Mt. Airy awaited departure here. Little Flower Catholic High School, and the trees of Hunting Park, are across Luzerne Street. Return to the Luzerne Depot article.